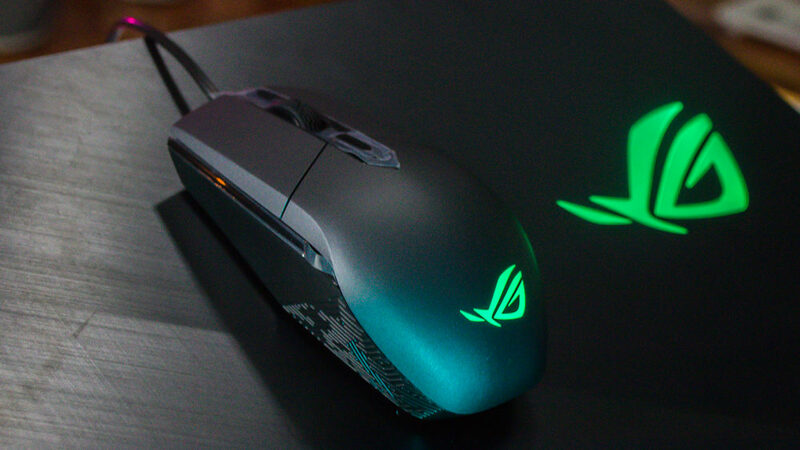 The free mouse comes with an RGB eye logo that you can adjust via the ASUS Aura Sync. There are four buttons — left mouse, middle mouse, right mouse, and DPI (up to 5000 DPI) change buttons along with a mouse scroll wheel in the middle. 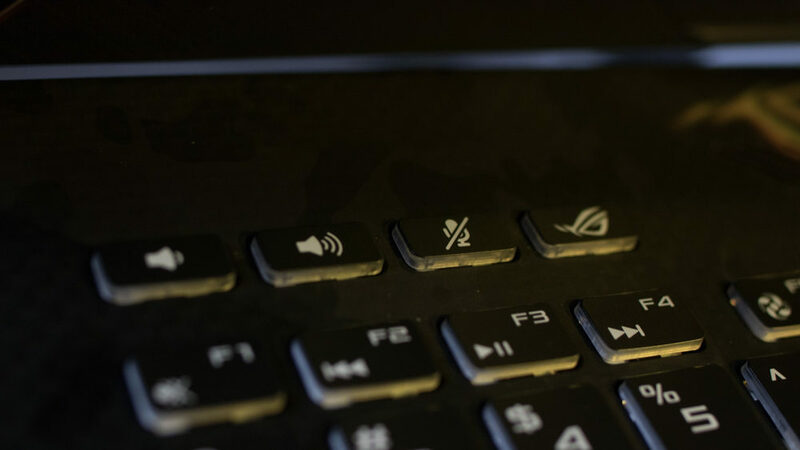 The ROG Impact uses Omron switches which makes the buttons tactile and clicky. Moving on, we have the Scar II unit itself which, by the way, specializes in First-Person Shooter type of games. 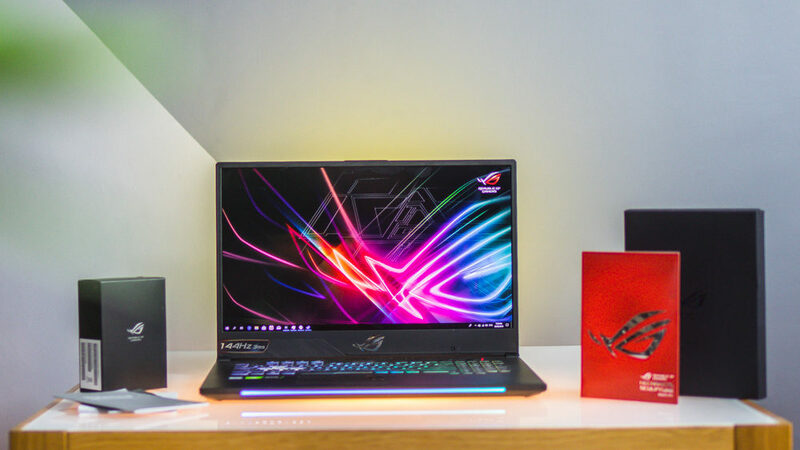 The ASUS ROG laptop lineup never fails to impress the consumers in terms of design and the Scar II is no exception. 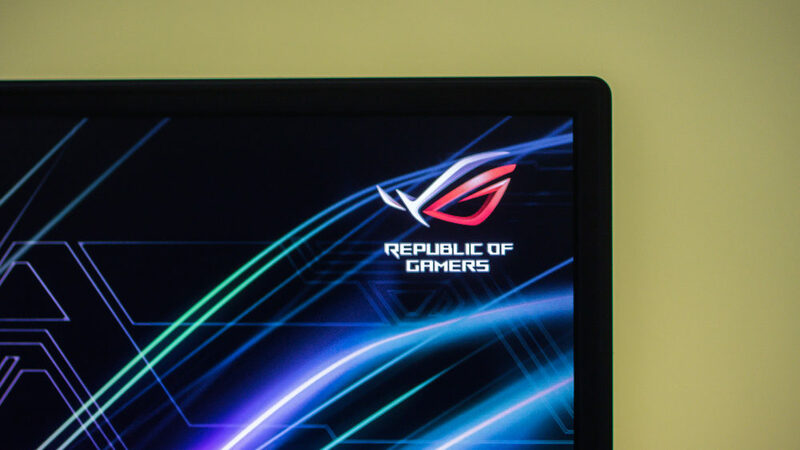 At first glance, you wouldn’t be able to tell that it’s a gaming laptop due to its brushed aluminum stealth design like any other ASUS laptops, but the main giveaway is its big ROG logo located at the right side. The lid can be opened with only one finger, but you have to put more force on it so I advise that you should at least open it with two fingers — one holding at the body and one pushing upward. The ROG Scar II has two variants, the 17-inch, and the 15-inch, but what I have here is the former. 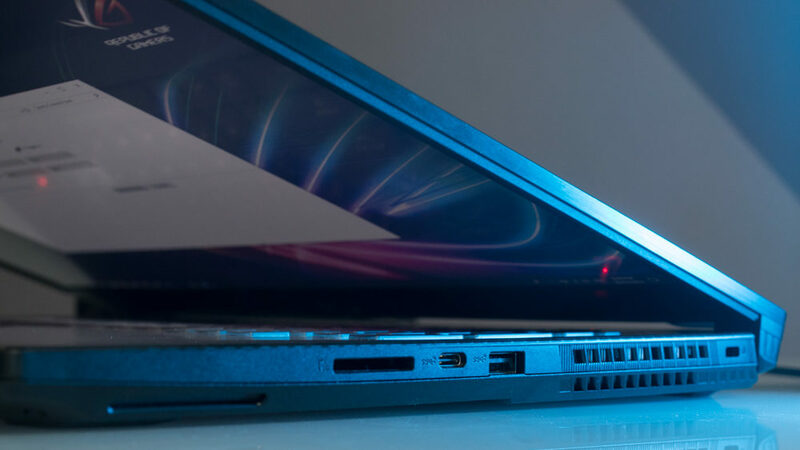 Looking at the screen, you can see that, for a gaming laptop, it has thin top and side bezels which is great. 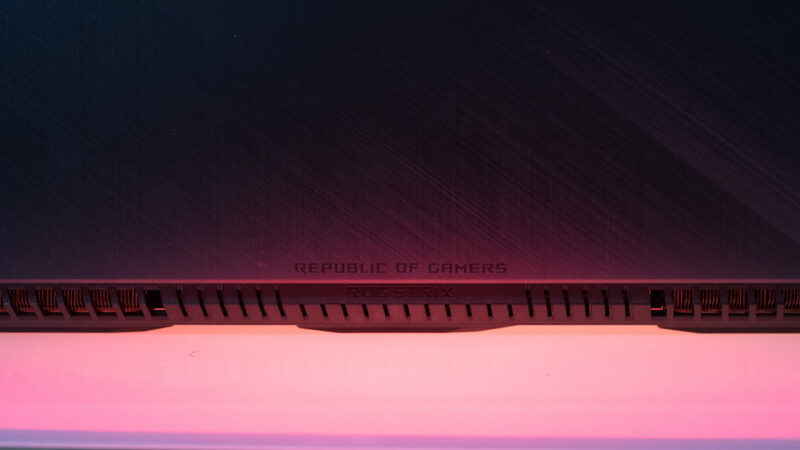 The rest of the thickness can be found at the bottom bezel due to the ROG logo and the chin-cam (webcam). This gaming laptop has a Full HD display with a 144Hz refresh rate and 3ms response time. This configuration is excellent, particularly for first-person shooter games like Overwatch, Battlefield V, Counter-Strike: Global Offensive, Rainbow Six Siege, and many more. I’m actually excited to try playing on this since I’m pretty much used to 60Hz. The screen is sturdy, overall, when I tried to flex it on the top corners which is a good sign of a well-built laptop. Moving to the left side of the laptop, we see the charging port, RJ-45 slot, Mini-Display 1.2 port, HDMI port, three USB Type-A 3.1 Gen 1 ports, 3.5mm audio port, and a loudspeaker. You can see the Kensington lock, exhaust vent, USB Type-A 3.1 Gen 2 port, USB Type-C 3.1 Gen 2 port, SD card reader, and another loudspeaker. This type of design is actually good especially if you are listening to any audio whether it’s for gaming or for listening to music since it is balanced. The back houses two other exhaust vents which is good given that gaming laptops usually heat up when running games or doing heavy tasks. The body of the keyboard is made up of a carbon fiber material. 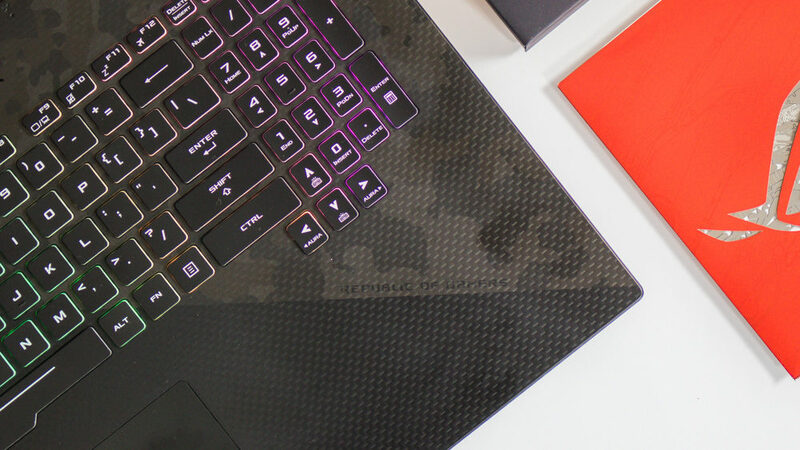 Looking at it closely, it has an army camouflage pattern on the upper diagonal half of the laptop which is a nice touch since ASUS is advertising this as a gaming laptop for FPS players. At the top part, there are four LED notification lights, as well as what seems to be an air intake vent. 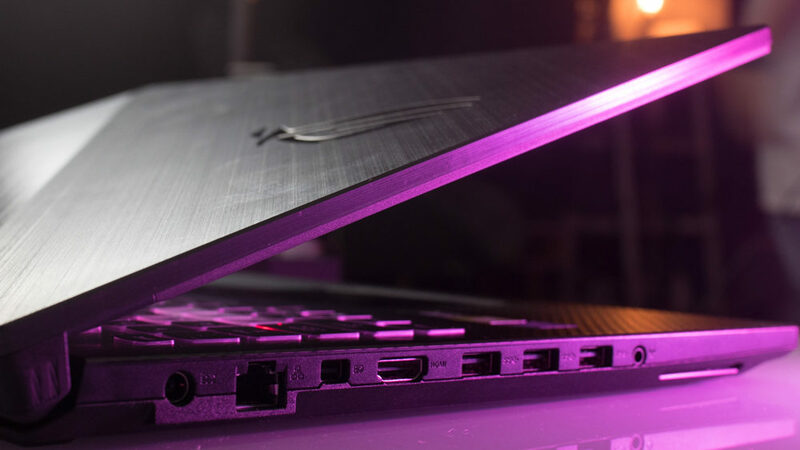 The keys have RGB lights and are powered by ASUS Aura Sync. On the first row, there are individual buttons for the volume rocker, mute mic, and Armoury Crate software while on the other end is the power button. 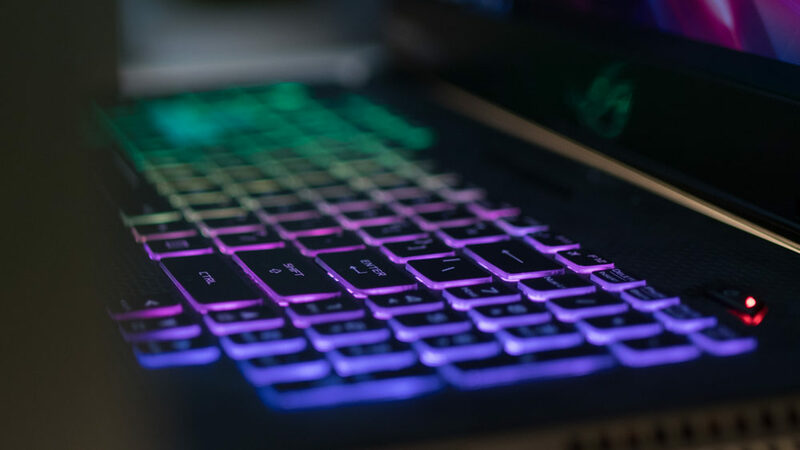 Since this is a 17-inch gaming laptop, it has complete keys including a numpad; you can see that the “W, A, S, D” keys have a transparent design to emphasize how the movement of FPS games usually are controlled. Below them is a trackpad which is not that rough when I ran my fingers across it although it does show some resistance, similar to the grippy feel of a rubber. The visible left and right mouse buttons, however, are tactile and very easy to press. 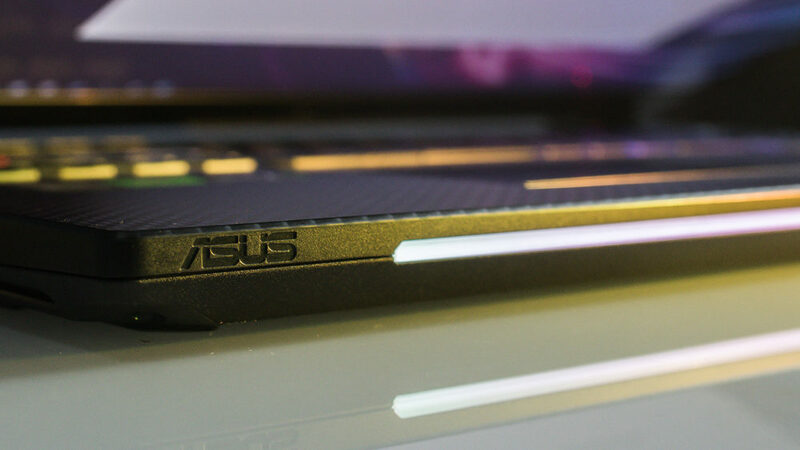 Checking out the bottom side is a neat addition to the RGB-filled components of this laptop. People who are into RGB colors will love the Scar II because, aside from the lid logo and keyboard, there’s also a LED strip which syncs with the colors of the other components. 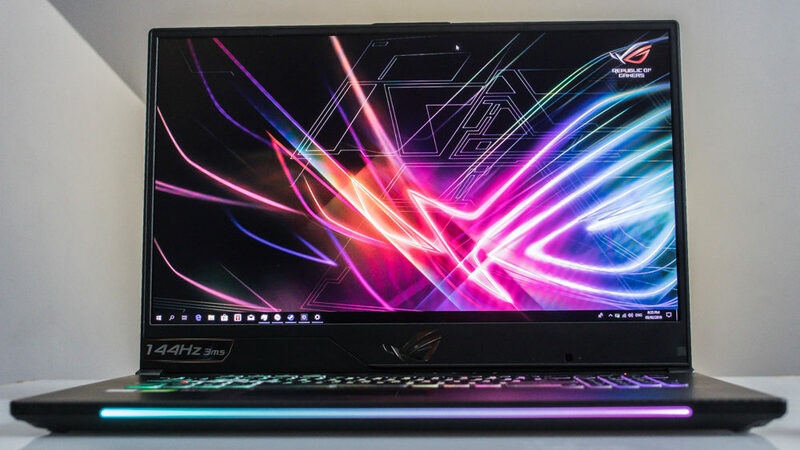 The new ASUS ROG Strix Scar II is powered by an 8th-Gen Intel Core i7 processor, 16GB DDR4 RAM, NVIDIA RTX 2060 (6GB) graphics which is already more than enough to run FPS games or even AAA ones at medium to high graphics settings. It also has a 1TB SSHD storage and another 256GB SSD to run your OS faster. While it’s great that we do get ray tracing with the RTX 2060, it’s all for naught, since our options for supported games are scarce. 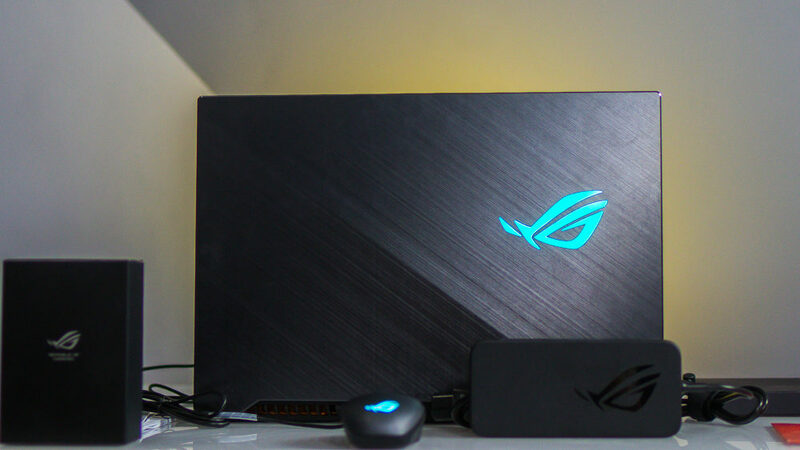 So far, the ASUS ROG Strix Scar II is one heck of a gaming laptop that really lands quite a punch, especially when it comes to running graphics-intensive games, providing a 144Hz display refresh rate, and that undeniably aesthetically pleasing design and RGB lighting. 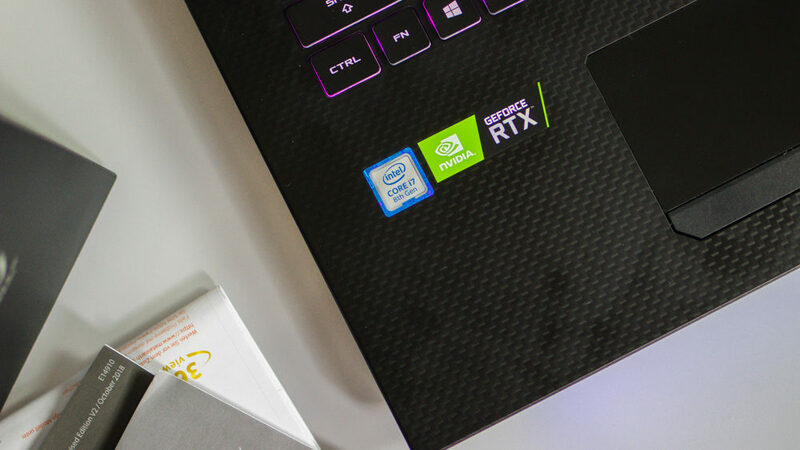 I would say that for the price of PHP 124,995, it’s quite a bit expensive but watch out for my full review of this gaming laptop to see if the price is worth it. 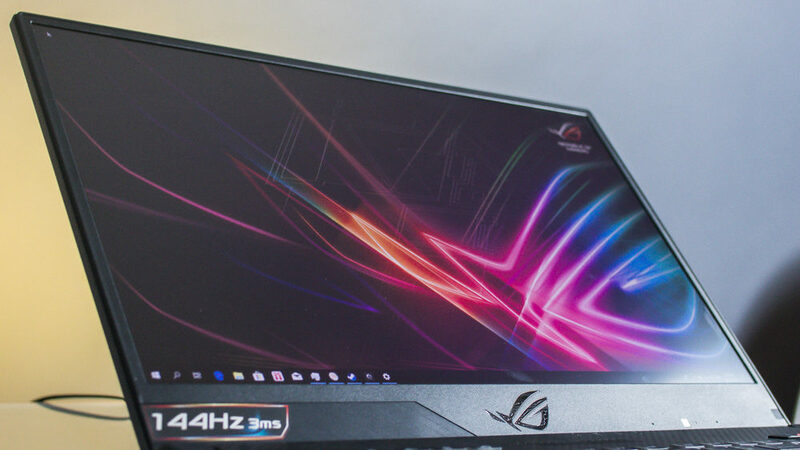 The post ASUS ROG Strix Scar II (GL704GV) Unboxing, Hands-On appeared first on YugaTech | Philippines Tech News & Reviews.